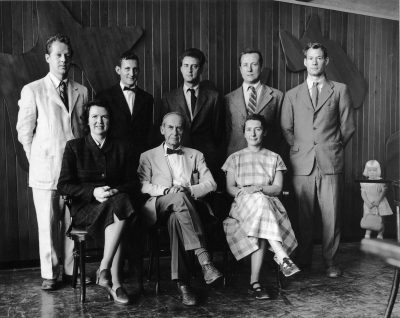 Jean Bodman Fletcher (1915–1965) was one of seven young founding members of The Architects Collaborative (TAC), the team-based practice established in Cambridge, Massachusetts, with Walter Gropius in 1945. Before her premature death in 1965 at the age of 50, Fletcher was partner-in-charge of several of the major projects that established TAC’s reputation in its first two decades. 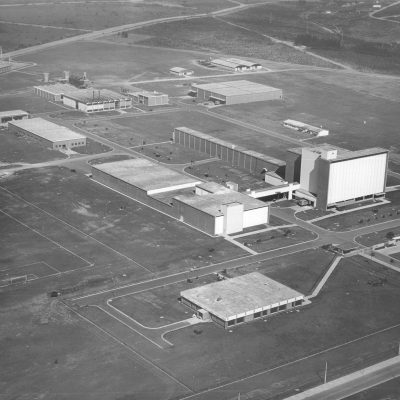 These included schools, housing developments, libraries, and medical facilities. Jean Bodman was born in Boston, Massachusetts in 1915, the youngest of three children of Maud Hayden Rogers and Fenimore Lewis Bodman. At the time, Fenimore was a representative for the Powers-Weightman-Rosengarten Company, a chemical manufacturer based in Philadelphia. By 1933, he was running his own company, F. L. Bodman Inc., and the family had moved to the well-to-do suburb of Wayne, Pennsylvania. 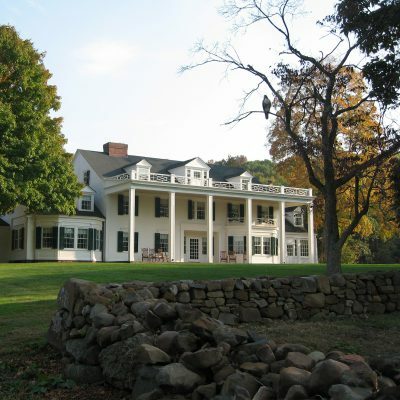 Jean attended the Baldwin School in Bryn Mawr, Pennsylvania, and then studied at Smith College in Northampton, Massachusetts. After graduating in 1937, she entered the Cambridge School of Architecture and Landscape Architecture for Women, which was then affiliated with Smith. 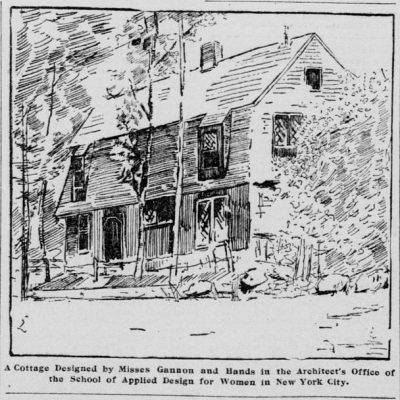 It was the first American school to offer graduate training in architecture and landscape architecture exclusively to women under one faculty.11At the time the school was known as the Smith College Graduate School of Architecture and Landscape Architecture in Cambridge, having entered into a cooperative agreement with Smith in 1932. 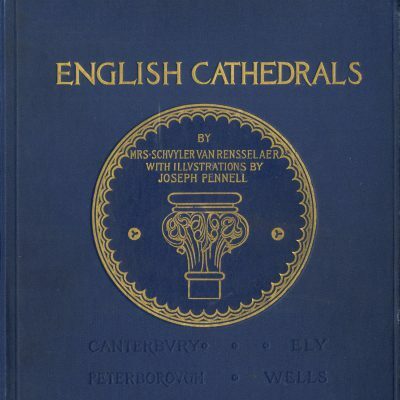 On the history of the Cambridge School, see Kevin D. Murphy, “The Vernacular Moment: Eleanor Raymond, Walter Gropius, and New England Modernism between the Wars,” Journal of the Society of Architectural Historians 70, 3 (September 2011), 308–29. 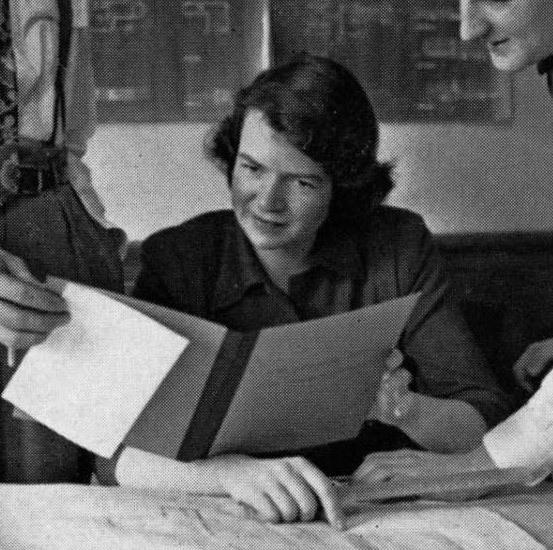 In 1942, following declining enrollment at the Cambridge School during World War II, Harvard University began admitting women to its Graduate School of Design (GSD) and granting them Harvard degrees.22Smithipedia, “Cambridge School of Architecture and Landscape Architecture,” http://sophia.smith.edu/blog/smithipedia/academic-life/cambridge-school-of-architecture-and-landscape-architecture/, last accessed September 20, 2015. 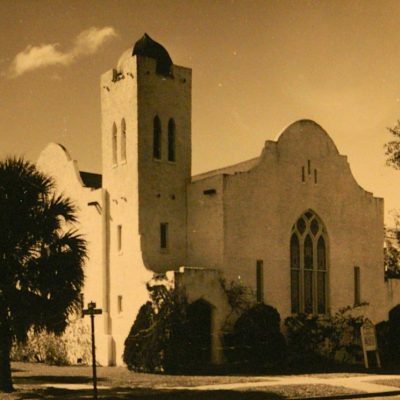 Bodman began studying there in 1942. 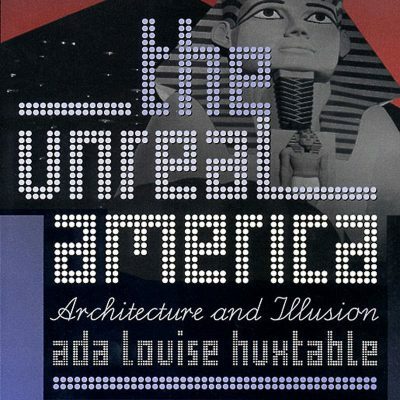 By 1945, Bodman had already completed a number of significant projects and texts, including multiple winning entries for national architecture competitions. These early projects fostered an interest in collaborative models of design and community planning, which she would later bring to TAC’s collective work. 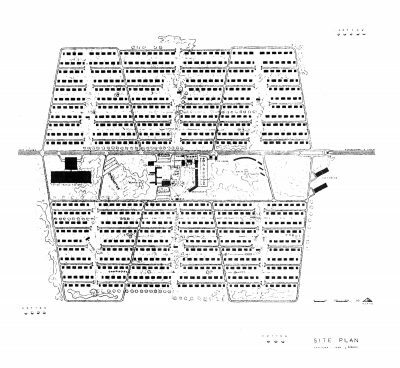 In the summer of 1943, while still a student, Bodman worked for the Federal Public Housing Authority, where she became concerned with issues of regional planning—an interest she shared with other architects of her generation, who sought new models of collective work that would embrace the emerging fields of planning, engineering, and landscape architecture. 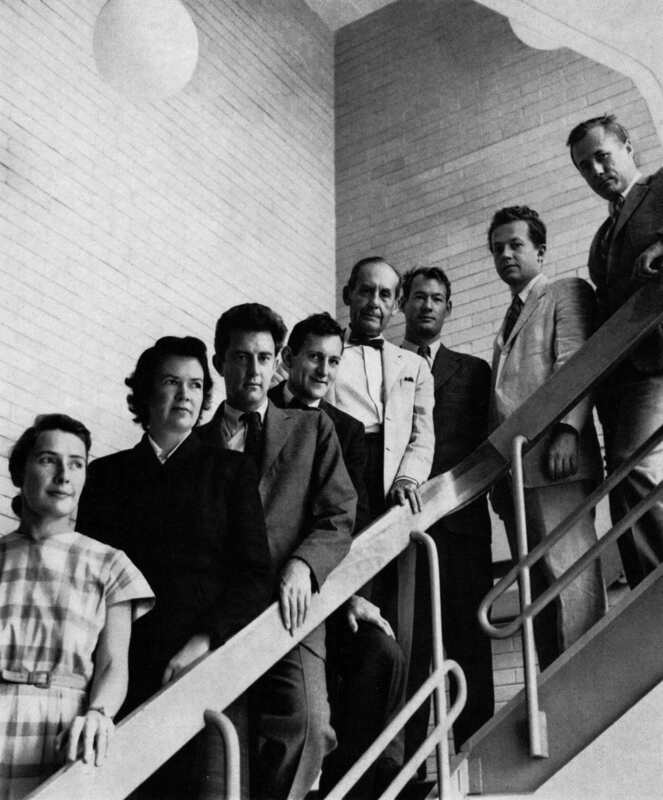 In her last semester at the GSD, in the spring of 1944, she enrolled in a team-based studio led by Marcel Breuer. 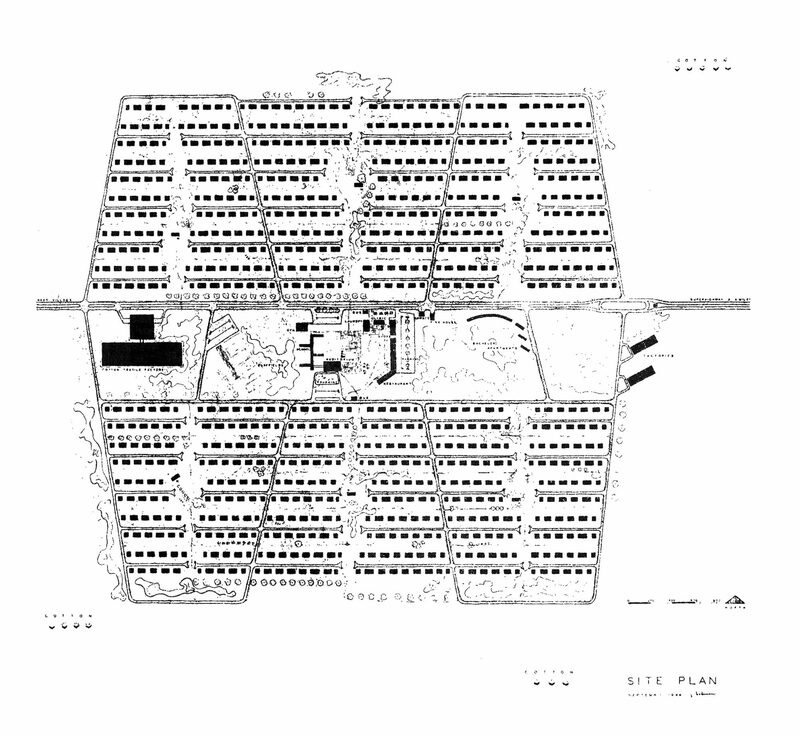 The project, for the redevelopment of Boston’s South End, included three types of housing (a long, linear fourteen-story building, mid-rise slabs, and two-story row houses) as well as a shopping center, an auditorium, and other community services.33Bodman’s project is discussed in Anthony Alofsin, The Struggle for Modernism: Architecture, Landscape Architecture, and City Planning at Harvard (New York and London: W.W. Norton & Company, 2002), 189. ​In her thesis project, supervised by Walter Gropius, she proposed a migrant workers’ community and factory in the context of a regional plan for California’s Central Valley, integrating flood control, electric power development, and water conservation and use.44Jean Bodman Fletcher, “There Should Be Regional Planning in Central Valley,” Arts & Architecture (May 1945), n.p. 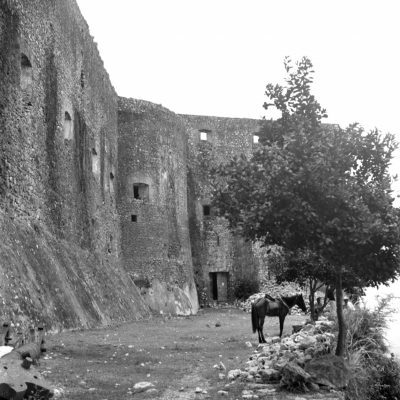 In her publication of the project in Arts & Architecture, Bodman explained that it “might become a laboratory where basic relationship[s] will be created which may serve as a guide for action in other regional developments,” with the ultimate goal of “raising the living standards of the worker [through] a new pattern of agricultural-industrial communities operated on a cooperative basis.”55Ibid. 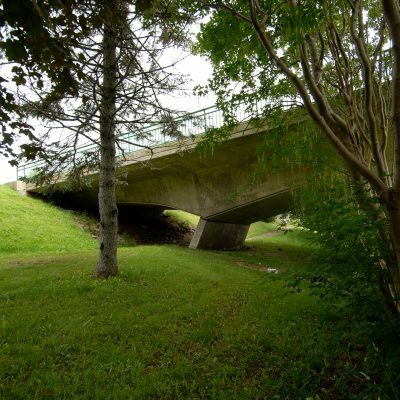 Bodman was inspired by the contemporary efforts of the Farm Securities Administration in California and by the large-scale regional projects conducted under New Deal planning authorities after 1933—particularly the heroic infrastructural works of the Tennessee Valley Authority. 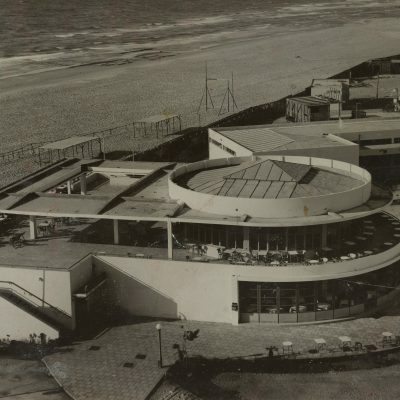 The project also channeled the collaborative pedagogy of the prewar Bauhaus, as young architects sought to unite the building disciplines to address the pressing social and environmental concerns of an imminent postwar society. 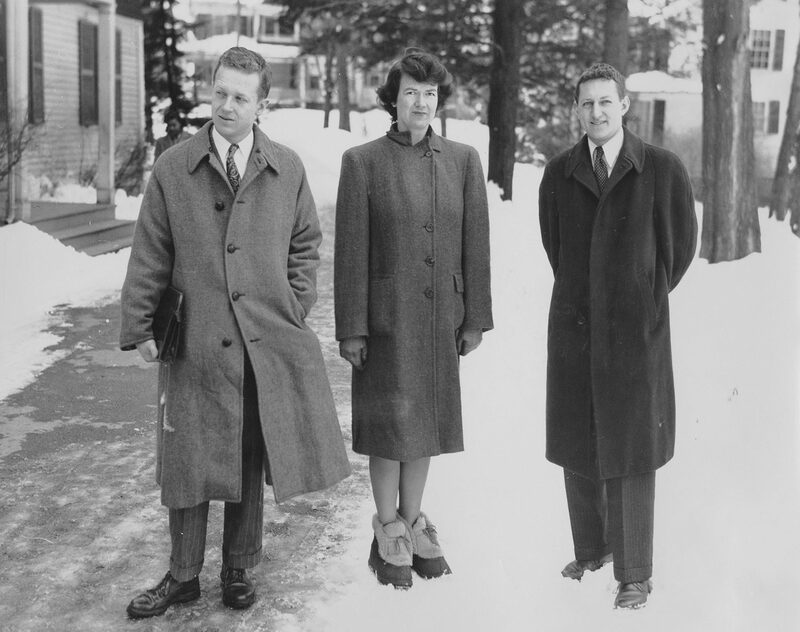 ​By 1943, while still a student at Harvard, Bodman had met her future husband and office partner, Norman C. Fletcher. Fletcher had graduated from Yale in 1940, working for Vernon DeMars and Burton Cairns in San Francisco on the design of defense housing for the Farm Securities Administration before moving to Skidmore, Owings & Merrill (SOM) in New York. There, he met a married couple, Sarah Pillsbury Harkness and John “Chip” Harkness, who would later join him and Bodman as TAC founders.66Fletcher worked in 1942 for Vernon DeMars, then head of the western division of the U.S. Farm Securities Administration, while on a traveling fellowship from Yale to study regional planning and infrastructural projects in the United States. 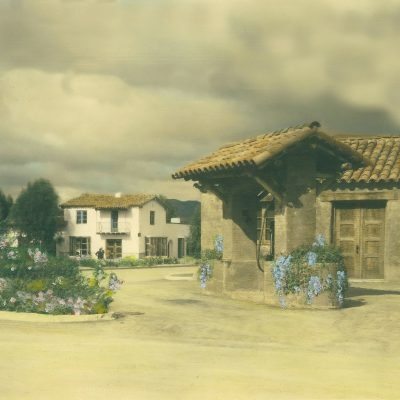 His projects included dormitories, a cafeteria, and a recreation center for defense workers in Vallejo, California. While at SOM, Fletcher, a conscientious objector and pacifist, was arrested for failing to register for the draft, and was placed on probation to work on wartime housing for the Office of Strategic Services under Saarinen. See Vernon Armand DeMars, “A Life in Architecture: Indian Dancing, Migrant Housing, Telesis, Design for Urban Living, Theater, Teaching,” an oral history conducted in 1988-1989 by Suzanne B. Riess, Regional Oral History Office, The Bancroft Library, University of California, Berkeley, 1992, available at http://www.oac.cdlib.org/view?docId=kt938nb53j&brand=oac4&doc.view=entire_text; Interview with Norman C. Fletcher conducted by Perry Neubauer, November 6, 2006. My thanks to Neubauer for providing the transcript of this and other interviews with then-surviving founders of TAC. Upon graduating from the GSD in 1944, Bodman moved to Washington, D.C., to work for Eero Saarinen, who was then affiliated with the Office of Strategic Services. 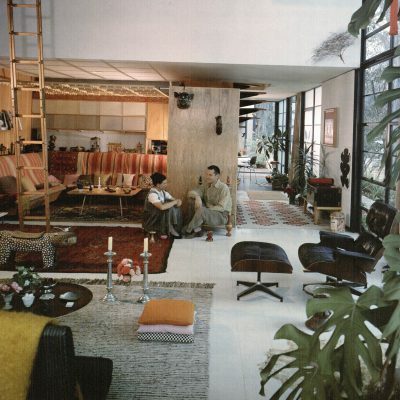 The couple moved to Bloomfield Hills, Michigan not long after to work for Saarinen, Swanson & Associates; they married in 1945. 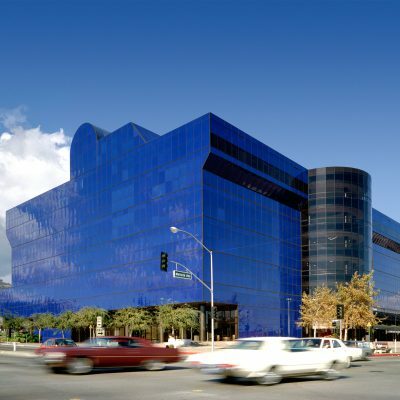 Jean and Norman Fletcher soon gained recognition for a series of speculative designs and winning projects for national architectural competitions. 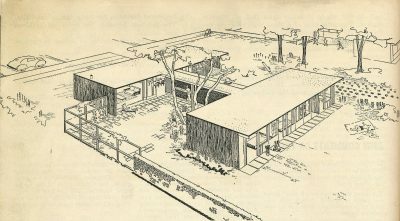 In their first-prize entry for the design of “A House for Cheerful Living,” sponsored by Pencil Points and the Pittsburgh Plate Glass Company in 1945, the couple proposed a single-story house for Salinas, California, with separate bedroom and living wings connected in an H-shaped plan by a prefabricated mechanical core. 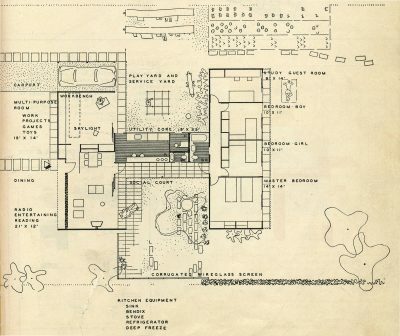 The competition jury commended the project’s straightforward character, remarking that “the design is sympathetically done; it is simple, direct, and has a definite American flavor that is refreshing.”77“PENCIL POINTS-PITTSBURGH Architectural Competition for the Design of ‘A House for Cheerful Living,’” Pencil Points (May 1945), 55. Commenting on it in the New York Times, the Fletchers declared: “We subscribe fully to the tendency in modern architecture of eliminating stylist ornaments in favor of practicality.”88“Homes Design By New York Architects in Prize Competition: Prize Plans in National Contest Stress ‘Livability’ of New Homes,” The New York Times, May 13, 1945, R1. 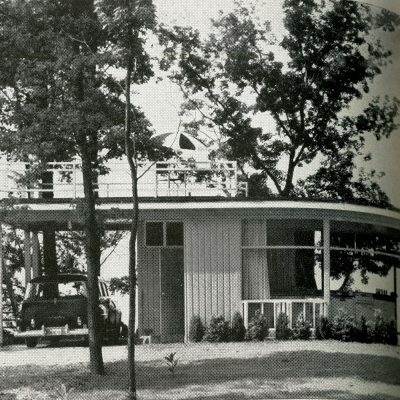 In July 1945, the partners designed a hypothetical “Motor Traveler’s Hotel” for Architectural Record with Charles D. Wiley. 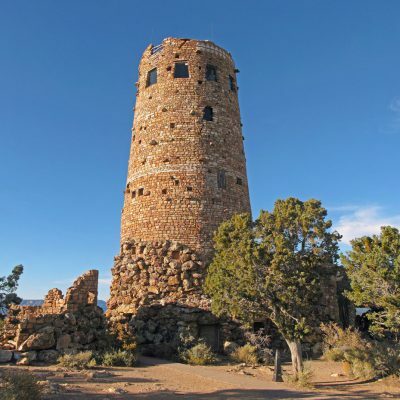 The two-and-a-half-story structure was surrounded by a raised ring of parking spaces from which visitors would ascend or descend to enter their rooms, which were suspended within U-shaped structural frames. The ground floor included shops, meeting rooms, and exhibition spaces, as well as a community center. As the Fletchers explained, “A hotel is the visitor’s contact with the community and a focal point of local activities.” It was thus natural that it should form “part of a community group which includes shops, offices, local municipal headquarters, theater and junior high school.”99“Motor Traveler’s Hotel, By Charles D. Wiley, Norman Fletcher and Jean Bodman Fletcher, Architects,” Architectural Record (July 1945), 75. ​The last in this string of winning competition entries, a project to design dormitories for Bodman’s alma mater, Smith College, coincided with the formation of The Architects Collaborative at the end of 1945. The competition was organized by Pencil Points–Progressive Architecture in conjunction with the Museum of Modern Art in New York, which exhibited the winning entries in early 1946. 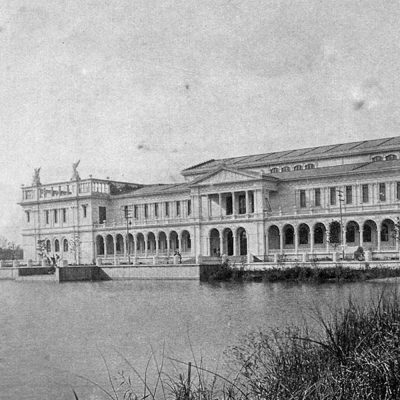 The Fletchers, in collaboration with Benjamin Thompson, a classmate of Norman’s at Yale, won first prize among the ninety-one entries. 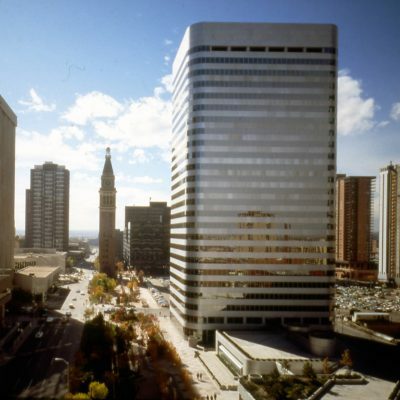 The three had already discussed forming an “ideal office,” called “The World Collaborative,” that would combine painting, sculpture, and architecture.1010Transcript of interview with Norman C. Fletcher conducted by Perry Neubauer, November 6, 2006, 2. 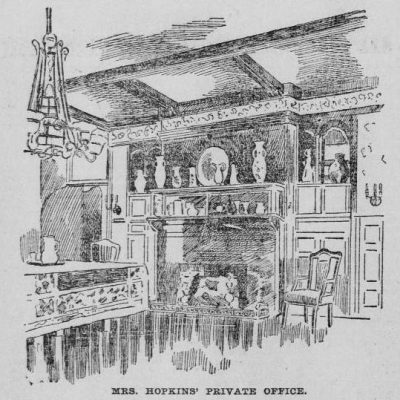 Second prize went to their friends Sarah Pillsbury Harkness and John C. Harkness, with whom Norman had maintained a correspondence since their time together at SOM.1111Ibid., 6. Among young architects, the immediate postwar climate was one of extreme optimism about the potential for collective models of architectural practice to reshape society for the better. In Sarah Harkness’s words, the “atmosphere was very exciting, to remake the world.”1212Transcript of interview with Sarah Harkness conducted by Perry Neubauer, November 3, 2006, 4. Tied to this idealism was a desire to escape the hierarchical (and gendered) office structures that had continued through the war years. Norman Fletcher recalled his and Jean’s strong interest in developing a shared practice that would be “pretty much equal, no bosses . . . working as a team together in a collaborative way.”1313Interview with Norman C. Fletcher conducted by Perry Neubauer, November 6, 2006, 5. Acting on these ambitions immediately after the war, the Fletchers wrote to John Harkness (who had returned in May from Europe, where he served as a U.S. Army medic) from Bloomfield Hills, Michigan, in November of 1945 to propose forming an office together. It was one month before competition entries for the Smith dormitories were due. The couple followed this entreaty with a letter a week later to Walter Gropius, who had asked John to join him as a teaching assistant in the master’s classes at Harvard. 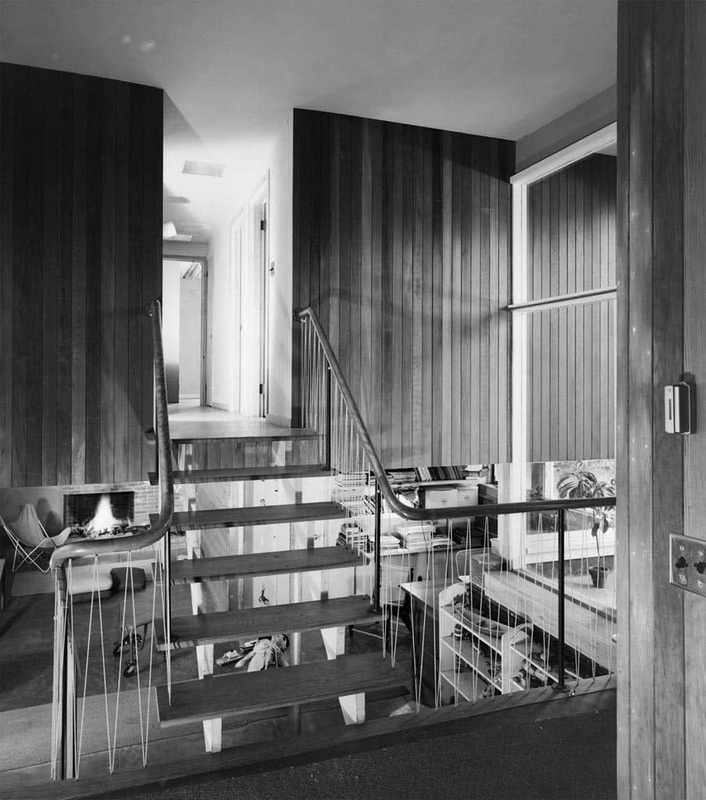 In soliciting Gropius’s involvement, the Fletchers sought to give “some background on the cooperative idea,” writing that “we feel that we can learn more and give more as productive citizens if we achieve more responsibility and independence than is possible in the traditional office organization.”1414Jean and Norman Fletcher to Walter Gropius, November 11, 1945, Reginald R. Isaacs papers, circa 1842–1991, Smithsonian Archives of American Art. Gropius had already recognized the Fletchers’ work by recommending them to Ted Dreier to design buildings and to oversee the construction program at Black Mountain College (a gesture for which the couple thanked him in their letter) after Gropius’s own project for the College, undertaken with Marcel Breuer in 1939, fell through. They also enlisted Benjamin Thompson and Louis A. McMillen, another colleague of Norman’s at Yale who was finishing his master’s degree at Harvard under Gropius. In joining together, they wrote to Gropius, “our aims become, not architecture for architecture’s sake, but architecture for the sake of a healthy society.” The Fletchers traveled to Cambridge at the end of November to meet with Gropius and the other partners, and the new office was officially inaugurated on January 1, 1946.1515The December 25th meeting date is given by Reginald Isaacs in his Walter Gropius: An Illustrated Biography (Boston, Toronto, London: Bulfinch Press, 1991): 256. The initial members were joined sometime after August 1946 by Robert McMillan, another colleague of the Fletchers, Thompson, and McMillen at Yale, to bring the final number of TAC partners to eight. Thus, by the time the results of the Smith dormitory competition were announced in February of 1946, the five architects of the winning and runner-up entries had already decided to form TAC—a fact noted in April, when the winning entries were published in Progressive Architecture. 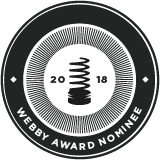 The sum of the first- and second-prize winnings from the competition ($2,000 and $1,000, respectively) provided seed money for the new firm, along with its first potential commission. 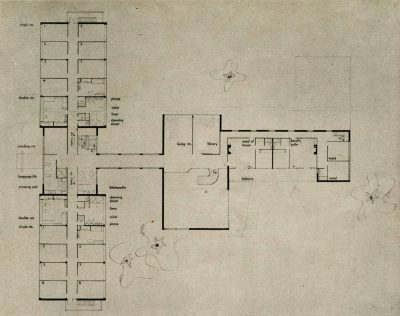 The jury had commended the Fletchers’ winning project for its simplicity and appropriateness, citing “the clean but unforced character of plan and elevations” and the fact that “the designers had developed their forms out of the requirements instead of forcing their rooms into any arbitrarily imposed shape.”1616“A Competition to Select an Architect for a Proposed Dormitory Group for Smith College,” Progressive Architecture (April 1946), 52–53. 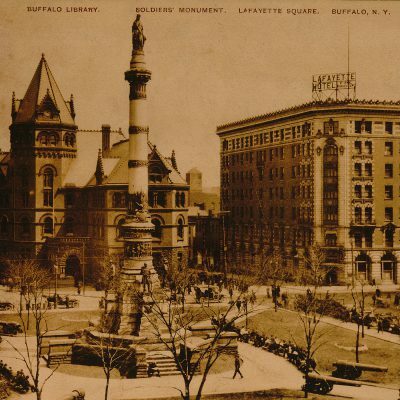 Lucia Norton Valentine, a trustee of the College and a member of the jury, further remarked that in its selection, “[s]tyle was the least consideration. The jury was searching for fundamentals as an indication of talent.”1717Lucia Norton Valentine, “First Step Toward New Dormitory,” Smith Alumnae Quarterly (May 1946), 126. Although the commission soon foundered, due to the stylistic objections of an advisor to the competition jury, the Fletchers and TAC were already on their way to creating a successful practice.1818Interview with Norman C. Fletcher conducted by Perry Neubauer, November 6, 2006-7. 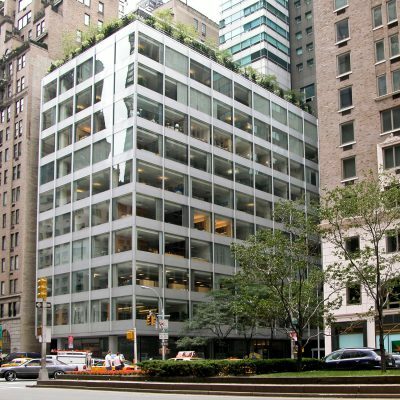 Fletcher indicated that the advisor who had objected to the project was a practitioner with a traditional firm in New York. Richard Marsh Bennett, a professional advisor to the competition jury, was then practicing in New York together with Caleb Hornbostel. 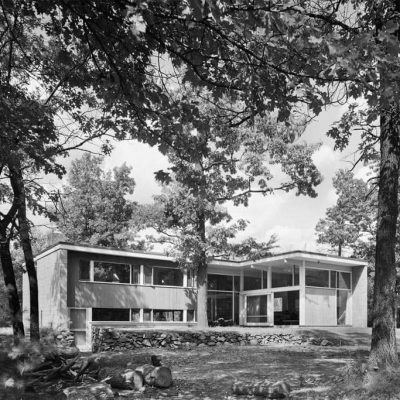 It is unclear if Bennett was the “traditional” architect to whom Fletcher was referring, given that Bennett and Hornbostel also produced modernist projects, such as their winning design for a proposed Art Center at Wheaton College in 1938. Modernist dormitories for Smith College were ultimately built on a different site by Skidmore, Owings & Merrill (1957). The whole post-war reconstruction problem, so vast and so complex, hangs upon our ability to cooperate. The architect as a coordinator by vocation should lead the way—first in his [sic] own office—to develop a new “technique of collaboration” in teams. The essence of such technique will be to emphasize individual freedom of initiative instead of authoritative direction by a boss. 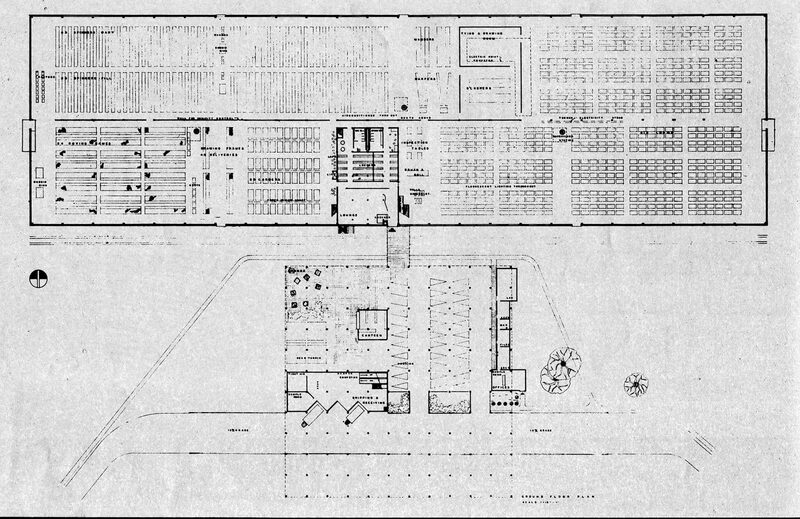 Synchronizing all individual efforts by a continuous give and take of its members, a team can raise its integrated work to higher potentials than the sum of the work of just so many individuals.1919“Statement of Aims,” published in “Program for the Proposed Willimantic Public Library by Architects’ Collaborative,” Arts & Architecture (August 1946), 28. Of no small importance within this “technique of collaboration” and its emphasis on “individual freedom of initiative” was the presence of two women among the founding partners, a feature often noted in the popular press of the time.2020See Barbara Brooks Walker, “No Woman Should Stay Home: Two Cambridge Wives Solve Career Problem,” The Boston Sunday Globe, March 2, 1947: A9; Helen Henley, “Two Girls Share as Equal Partners in Modern Architects’ Collaborative,” The Christian Science Monitor, January 13, 1947, 10. ​The young members of TAC quickly set about putting their collaborative approach into practice, most conspicuously in the collective design of their own homes at Six Moon Hill in Lexington, Massachusetts after 1948. The Fletchers had previously lived with the Harknesses in a three-story house on Trowbridge Street in Cambridge, Massachusetts, where they shared a maid, babysitters, and domestic facilities in an effort to balance childcare responsibilities. At the time, each couple had two children, and they implemented a rotating work schedule at TAC. As one contemporary article noted, “The parents heartily believe that their mode of living can serve as a pattern for other young married couples, as well as a basis for better community planning.”2121Barbara Brooks Walker, “No Woman Should Stay Home: Two Cambridge Wives Solve Career Problem,” A9. A 1947 article written by Jean Fletcher and Sarah Harkness for House & Garden, titled “Architecture, Family Style,” constituted something of a manifesto for designing domestic settings to meet the changing needs of the postwar housewife.2222Jean Bodman Fletcher and Sarah Harkness, “Architecture, family style: two woman architects look at today’s houses, tell how they affect family life,” House & Garden, October 1947, 146–49. 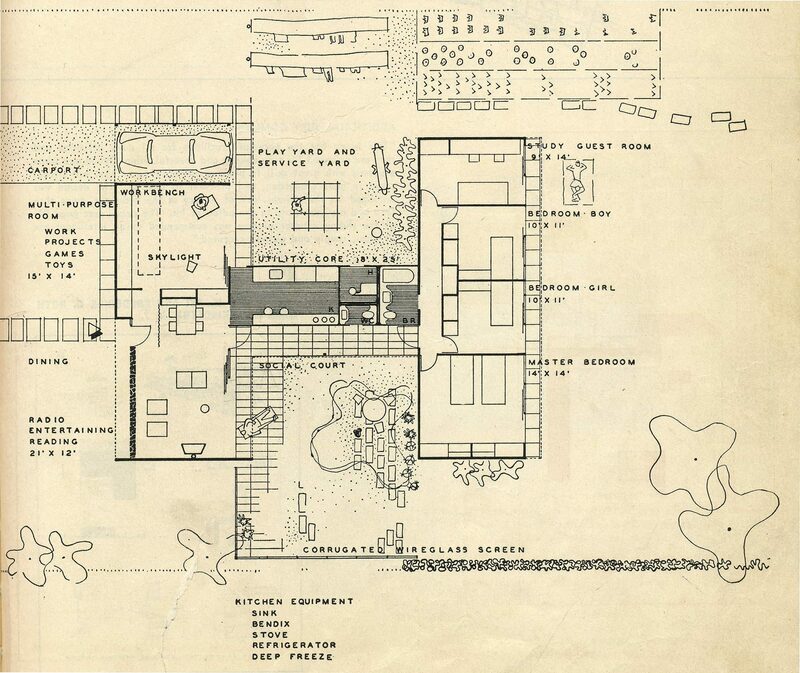 The piece provided a checklist of domestic priorities for women (“Is your house easy to run, pleasant to live in?” “Is your husband’s office less than an hour from home?”) and imagined a life cycle of potential living spaces for families: from the apartment for a young couple (“little space but few responsibilities”) to the “transition house” (a shared arrangement similar to their house on Trowbridge Street), on to the independence of the single-family house and, finally, to the “return to a less complicated way of life” once the family’s children had married. Fletcher and Harkness were able to apply their ideas on independent living at Six Moon Hill, a group of single-family houses for the TAC partners and other office members. The development was based on a twenty-acre plot of land purchased communally and divided into lots along a road purpose-built to serve it. 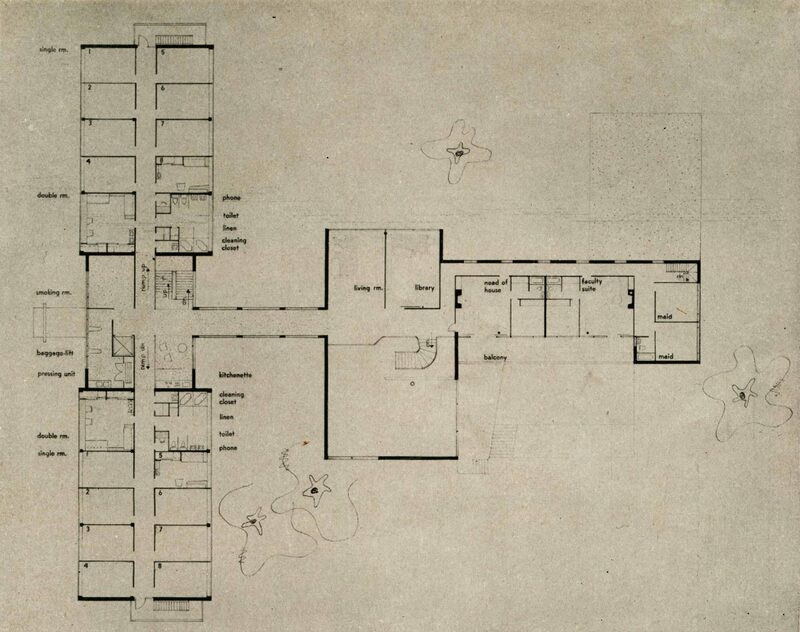 Each family was free to design their own house, based on their needs and within the constraints of the topography. The homes would also share a communal open space and swimming pool, as well as an architectural language. 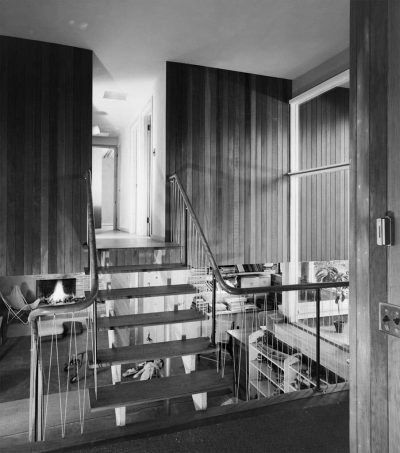 The Fletchers designed a split-level house with a two-story block containing bedrooms above and an open children’s playroom below, connected to a single-story wing containing kitchen, living, and dining rooms. ​TAC’s experiments in community planning continued nearby at the Five Fields residential development in Lexington (1952), for which Jean and Norman Fletcher were design partners along with Louis A. McMillen. Here the firm sought to plan a complete housing community, with control of everything from design and construction to marketing and the establishment of a homeowner’s organization to regulate the development. 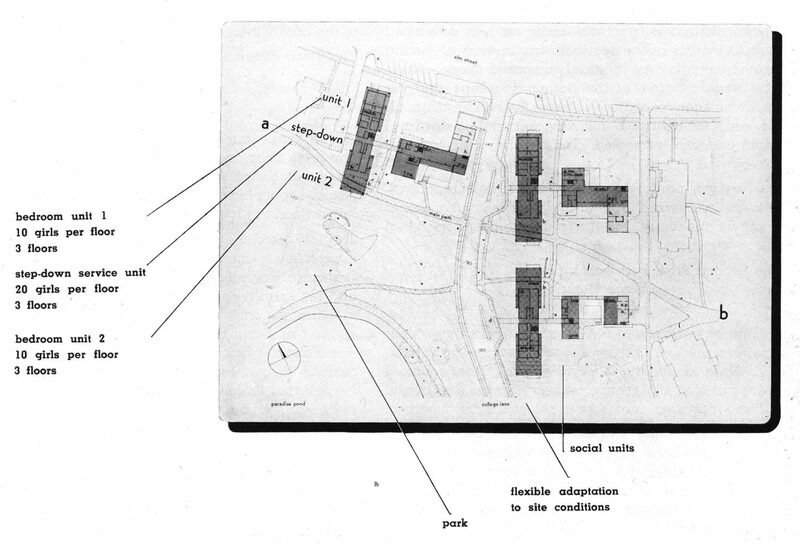 Sixty-eight low-cost houses were built around common parkland jointly owned by its residents. The community was regulated by a charter, which had been explicitly written by TAC to encourage a racially, ethnically, and socially diverse mix of residents. This was in sharp contrast to the restrictive covenants typical of many suburban developments of the period. 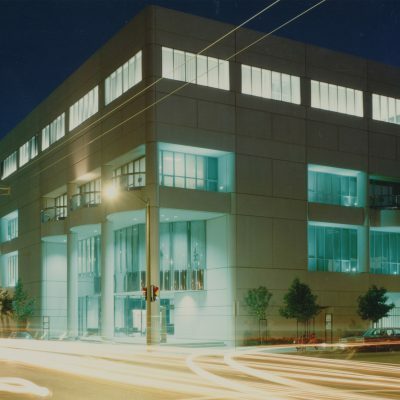 In its first two decades, TAC’s work grew in parallel with the postwar baby boom, progressing from suburban houses and elementary schools to secondary education schools and then to universities, hospitals, office buildings, and other institutional and cultural commissions. 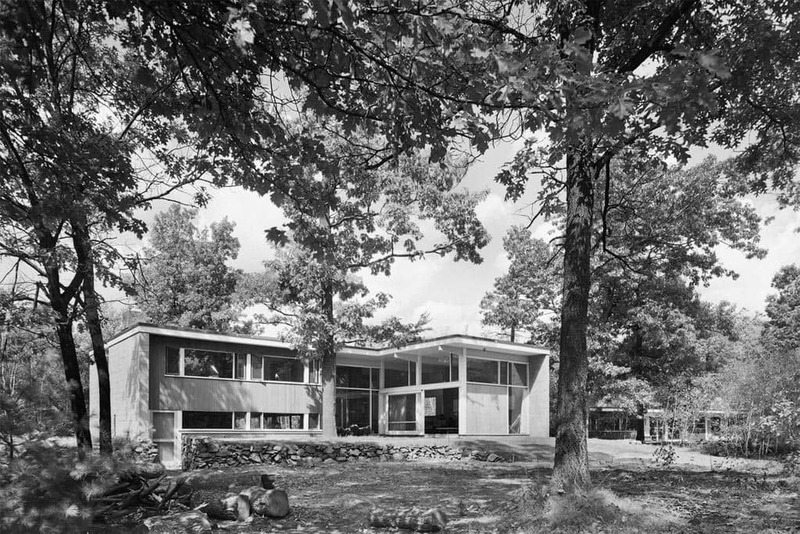 Projects for which Jean Fletcher was partner-in-charge included the Putterham Branch Library in Brookline, Massachusetts (1959) and the Coolidge Pavilion at the Peter Bent Brigham Hospital in Boston (1961, with John Harkness). Fletcher and Harkness were also responsible for the first of TAC’s many large-scale hospital projects, the Children’s Hospital Medical Center in Boston (1962–68), a complex of facilities for the care of children and their families as well as for hospital employees. 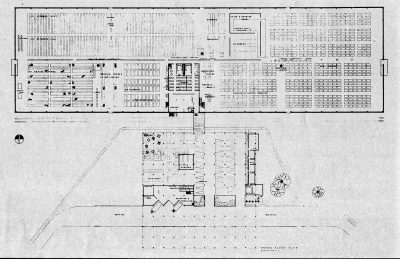 These included a “Children’s Inn,” an eighty-two-room motel for families to stay close to their children while they were being treated and for patients whose treatment did not require occupying substantially more expensive hospital beds. The architectural historian Stanford Anderson praised the Center on its opening as a “a mixed-use facility of a subtle and unusual kind,” one that demonstrated “that the apparently different operations of hospital, hotel, restaurant, pharmacy, shopping and residence are part of a larger pattern of life.”2323Stanford Anderson, “Challenge to Single-use Zoning,” The Boston Sunday Globe, March 24, 1968, A28. For an account of the Children’s Hospital complex, see Michael Kubo, “Children’s Hospital Medical Center, The Architects Collaborative, 1962–68,” ed. Chris Grimley, Michael Kubo, and Mark Pasnik, Heroic: Concrete Architecture and the New Boston (New York: The Monacelli Press, 2015), 252–57. ​By the time Jean Bodman Fletcher died of cancer in September of 1965, the collaborative practice she had helped establish was one of the largest and most successful offices of the postwar era. 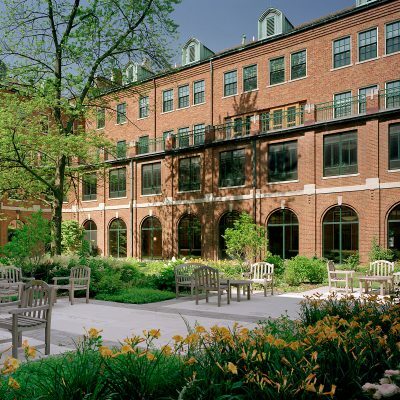 TAC had grown from its original eight partners into a firm with over 150 employees, with a headquarters under construction in Harvard Square and large-scale commissions around the globe. 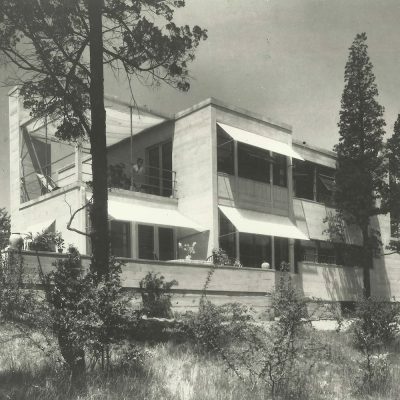 The following year, TAC published a major monograph, The Architects Collaborative Inc. 1945–1965: the culmination of the firm’s first twenty years of work.2424Walter Gropius and Sarah Harkness, eds. The Architects Collaborative Inc. 1945–1965 (Teufen: Arthur Niggli, 1966). In their introductory essays, the four other partners reiterated a sustained faith in the collaborative model that Fletcher had been instrumental in creating, with titles like “TAC’s Teamwork” (by Walter Gropius), “Collaboration” (by Sarah P. Harkness), “Search for a Common Language” (by John C. Harkness), and “The Idea of Anonymity” (by Louis A. McMillen). On an otherwise blank sheet just after the book’s inside title page, the remaining partners dedicated the monograph to Jean Bodman Fletcher’s memory. 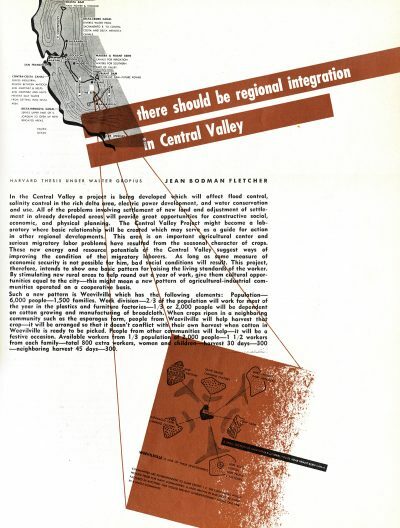 “There Should Be Regional Planning in Central Valley.” Arts & Architecture 62 (May 1945): n.p. The Architects Collaborative. “Statement of Aims.” Arts & Architecture 63 (August 1946): 28–29. — and Sarah Harkness. 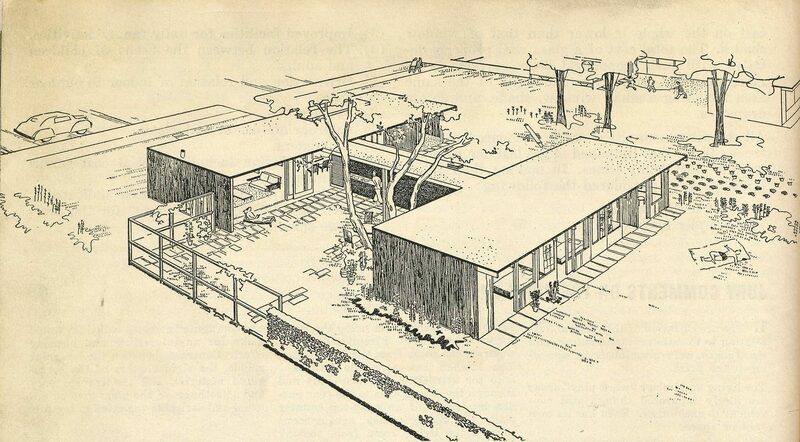 “Architecture, family style: two woman architects look at today’s houses, tell how they affect family life.” House & Garden 92 (October 1947): 146–49. 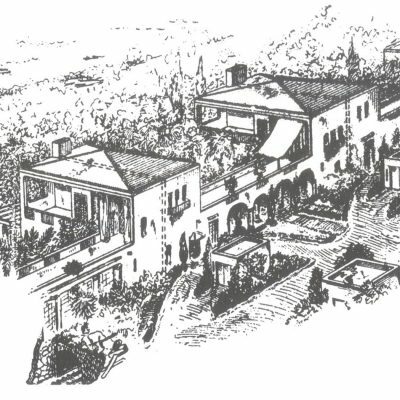 “Architects Turn Merchant Builders, Produce a Model Community of Well-Designed Houses.” House & Home 2 (August 1952): 88–93. Campbell, Robert. “Utopia Revisited: Built by architects seeking a model for community life, Six Moon Hill has thrived for 45 years.” The Boston Globe, April 7, 1994, A1, A6. Campbell, Robert. “Architects Collaborative Closes Doors After 50 Years.” The Boston Globe, May 5, 1995, 65. Foote, Margaret Warren. 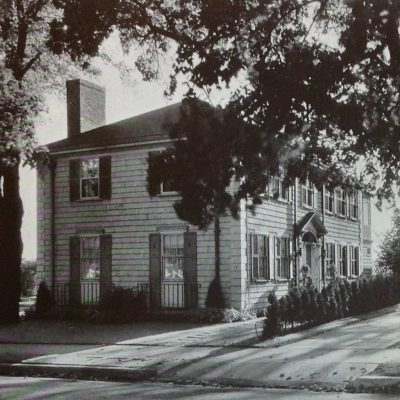 “18 Houses in Lexington Area Last Word in Modern Homes.” The Christian Science Monitor, May 20, 1950, 2. Gropius, Walter and Sarah Harkness, eds. 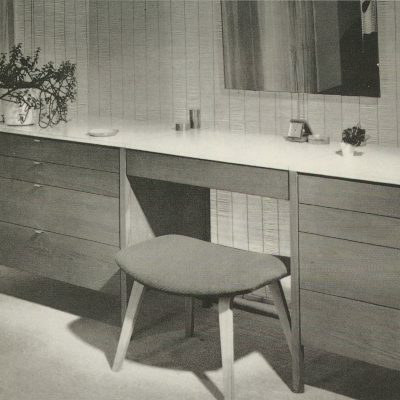 The Architects Collaborative Inc. 1945–1965. Teufen: Arthur Niggli, 1966. Harkness, Sarah. “The Architects Collaborative.” in Encyclopedia of Architecture: Design, Engineering & Construction, 45–52, edited by Joseph A. Wilkes and Robert T. Packard. Vol. 5, New ​York: John Wiley & Sons, 1990.
Henley, Helen. “Two Girls Share as Equal Partners in Modern Architects’ Collaborative.” The Christian Science Monitor, January 13, 1947, 10. 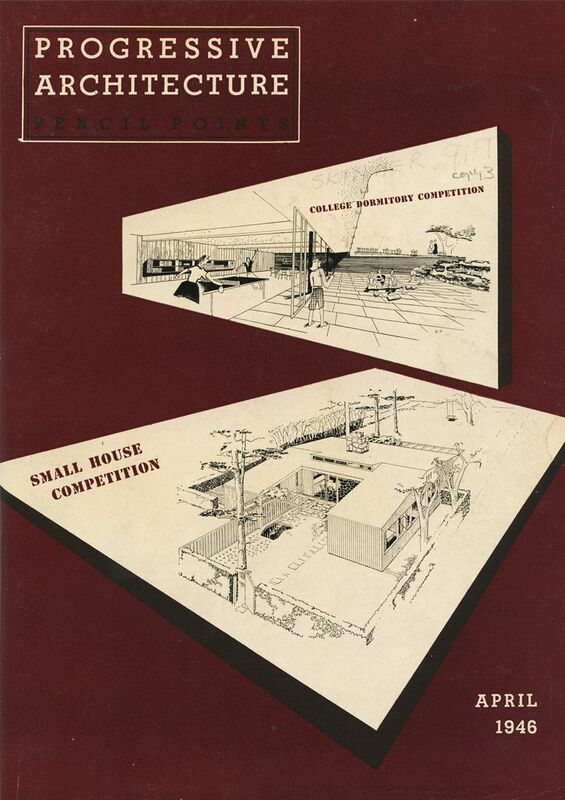 “Homes Designed By New York Architects in Prize Competition: Prize Plans in National Contest Stress ‘Livability’ of New Homes.” The New York Times, May 13, 1945, R1. Kay, Jane Holtz. “Would you have hired these men to design you a building? The Story of The Architects’ Collaborative.” The Boston Globe, April 18, 1971, H8. Kubo, Michael. “The Cambridge School: What went on at 46 Brattle Street.” Architecture Boston 16 (Summer 2013): 34–37. McKee, Bradford. 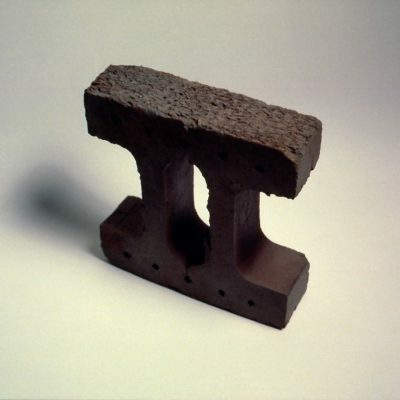 “TAC’s Demise.” Architecture 84 (December 1995): 117–19. 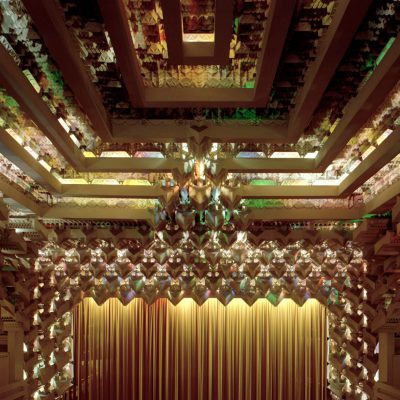 “Motor Traveler’s Hotel, By Charles D. Wiley, Norman Fletcher and Jean Bodman Fletcher, Architects.” Architectural Record 98 (July 1945): 75. 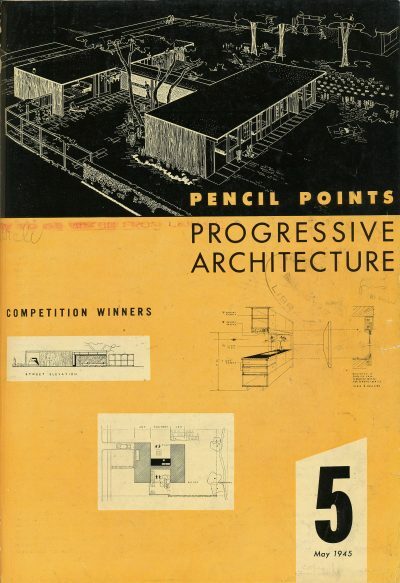 “PENCIL POINTS-PITTSBURGH Architectural Competition for the Design of ‘A House for Cheerful Living.’” Pencil Points 26 (May 1945): 55. “Six Moon Hill: Collaborative Planning Integrates Tailor-Made Houses in Co-op Subdivision.” Architectural Forum 92 (June 1950): 112–23. “TAC, The Architects’ Collaborative.” Architectural Record 125 (April 1959): 147–62. “The Architects’ Collaborative.” Baukunst und Werkform 10 (December 1957): 683–713. Walker, Barbara Brooks. “No Woman Should Stay Home: Two Cambridge Wives Solve Career Problem.” The Boston Sunday Globe, March 2, 1947, A9.